Who doesn’t love a good stir-fry? I know I certainly do. I’m going to be honest, I was hesitant to write this recipe up for you guys because I thought it may come across as boring one. However, I can guarantee you this recipe is super flavourful and delicious- there is a reason why it is a culinary staple! The key ingredients in this dish are lots of lemon and lime juice and a bit of palm sugar to help neutralise the acidic flavours, while still making sure the dish is citrusy and scrumptious! It is my go-to recipe to quickly whip up whenever my friends come over, or when I’m lacking inspiration or the motivation to cook up a fancy meal. It is a quick and easy recipe to throw together when you want something flavourful but don’t have the time which makes it perfect for Uni students. Let’s start by making the sauce and keeping it aside, so we can easily reach for it later on. For the sauce you need two tablespoons of light soya sauce, as dark will get too salty (and there are already mushrooms in this dish which automatically increase the amount of salt). In addition to this you also need two tablespoons of soya sauce and two tablespoons of chilli sauce, as well as juice from half a lemon. Next, whisk everything all together. Now, this concoction might get too sour for some people’s tastes, so my trick is to add a little bit of palm sugar, around half a teaspoon to neutralize the taste, while also adding some sweetness. Now, moving on to the main dish; firstly you want to cook your egg noodles in a separate sauce pan. I always use egg noodles for my stir-fries as they don’t break down easily and go well with all the other ingredients. Sometimes different noodles such as rice noodles tend to get a little sticky and not everyone prefers that, so I’ve seen that egg noodles go best for everyone’s tastes. (I also have no choice but to add egg noodles or my little sister won’t eat any *sigh*). While your noodles are cooking, in a pan, heat up some oil and if you are cooking meat, add it first as it requires the most cooking time. I usually add chicken breast strips, and a few spices of my choice (whatever I’m feeling at the time) into it also (the key is to experiment and cater to your individual taste and mood!). Please don’t forget to season your chicken. This is such an important step, and one that many people forget. Seriously, it should be a crime not to season chicken, and I’m not just saying that because I’m Pakistani. So moving on, the key to succulent and super juicy chicken is lemon juice, as it has enzymes which will break it down, to make it softer. Sometimes, I’ll even let the chicken sit in lemon juice for a bit before I cook it, so it has had time to tenderize beforehand. Your chicken or any other choice of meat should be done in a few minutes; minding the fact that you are supposed to cook it on a high flame. A little tip I learnt from my mum about cooking chicken is, that when you cook at a high flame, the juices and fat don’t secrete out, so the nutrition and flavour from the chicken won’t be lost. After your meat is done, that is when you can start adding your veggies. Add your chopped up mushrooms first, as they need to cook more than the other vegetables, and after a couple of minutes, add in all of the other veggies that you have chopped up. Fry them all together for a few minutes and then add your cooked egg noodles, mixing and mingling everything together. At this stage, add some sesame oil to give the noodles and veggies a yummy, nutty flavour and then mix everything nicely together again. Once the flavours have all seeped in together add the sauce and once that has also mixed in with everything, you can add the chopped up green parts from the green onion and you’re done! 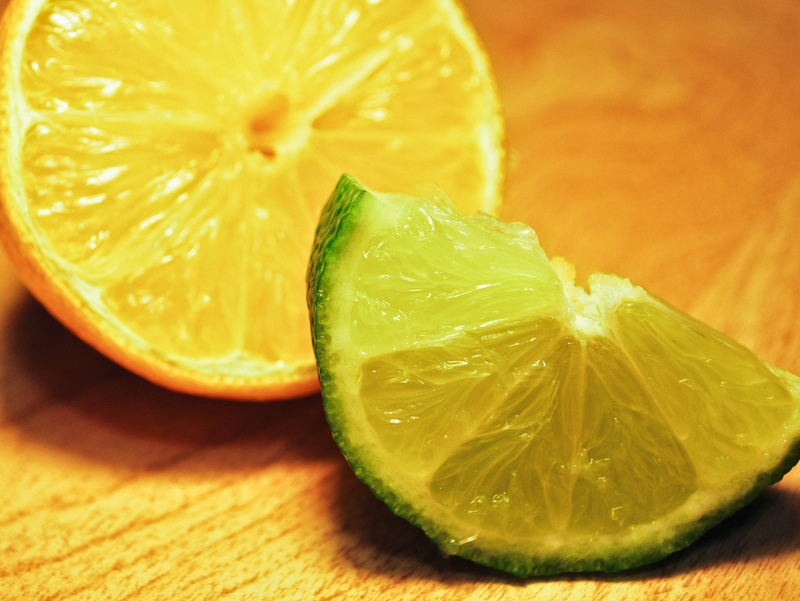 For the final touch, I recommend squeezing juice from half a lime to add a beautiful kick to the whole dish, and we’re done! 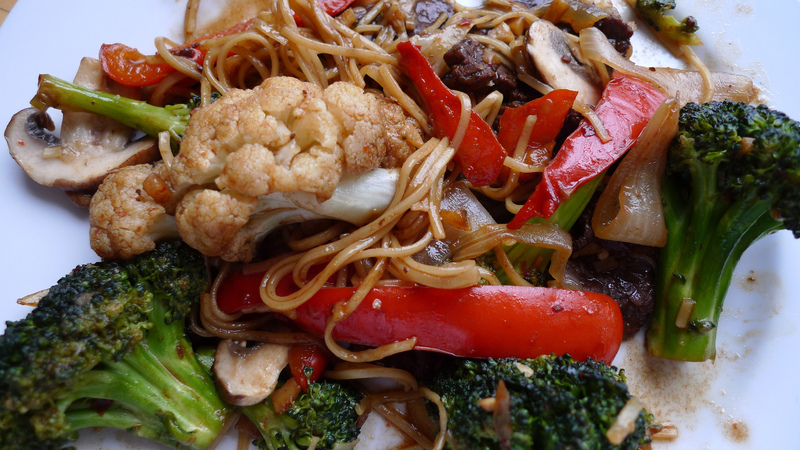 Now all that is left to do is for you to serve your stir-fry and then dig in! !